. 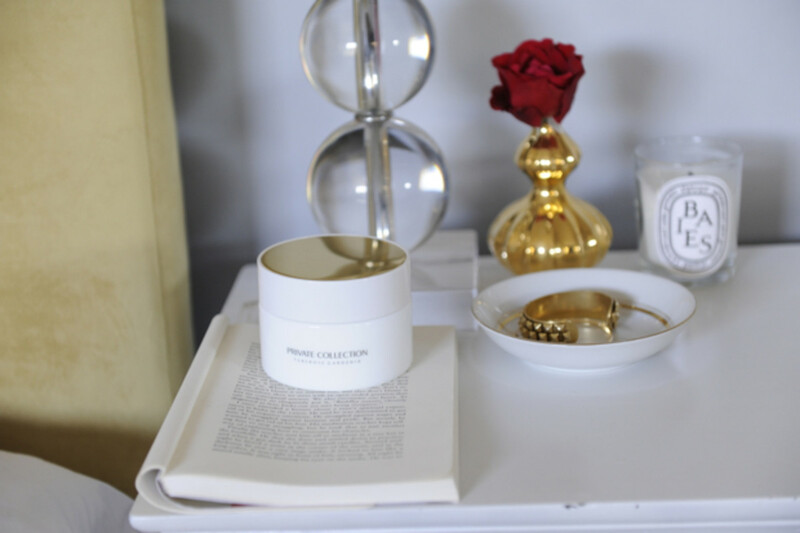 I used to have a nightstand that was overflowing - chapstick, a glass of water, magazines, stacks of books, framed pictures...the list goes on. I now keep it relatively sparse with just some simple essentials.
. This is a motto I&apos;ve only recently adopted, as I used to scoop things up simply because they were on sale, not because I particularly liked them. 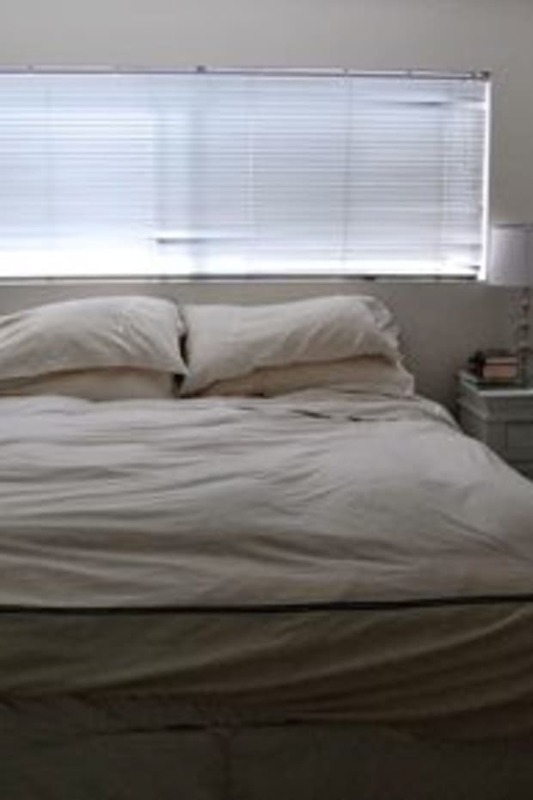 But since you spend so much of your time in bed, it shouldn&apos;t merely be an afterthought.
. I look forward to watching TV in a hotel bed from the moment I check-in, but we don&apos;t have one in our bedroom at home. I think it helps promote a more restful sleep, and I always find I&apos;m more relaxed when I read before bed instead of watching TV.
. I used to use the same comforter on my bed throughout the year, only changing up the duvet cover. 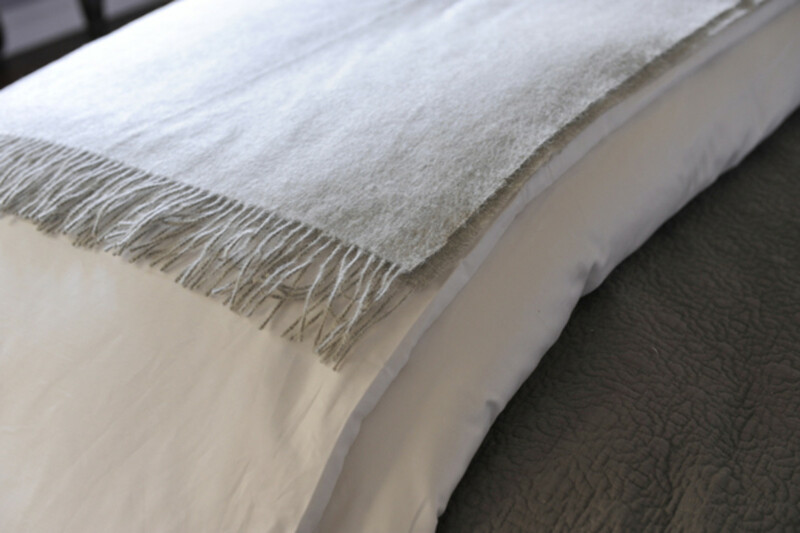 Now I love the tradition of changing our sheets and switching to a lighter blanket once the weather warms up.
. The moment I removed the clock from my bedside table (it&apos;s now across the room), I started sleeping a lot sounder. In the past I would check the time throughout the night, calculating just how much (or little) time I had left in bed. That only perpetuated the issue and now since I have no way of knowing the time, I simply fall back asleep.
. I love the idea of an all-white bed, but it just wasn&apos;t practical for our two very active (and messy) cats. 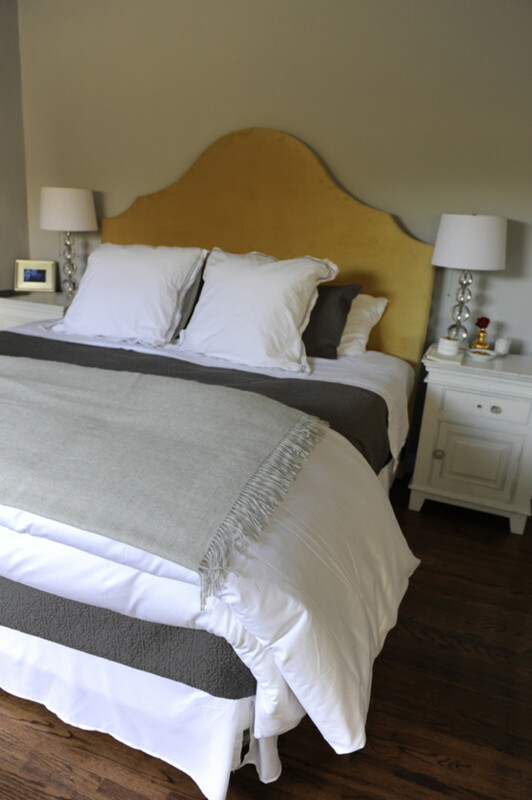 I wanted our bed to still feel crisp and neutral, so we still added some white elements, but with a charcoal-colored quilt and shams with a cashmere throw in a light gray.
. 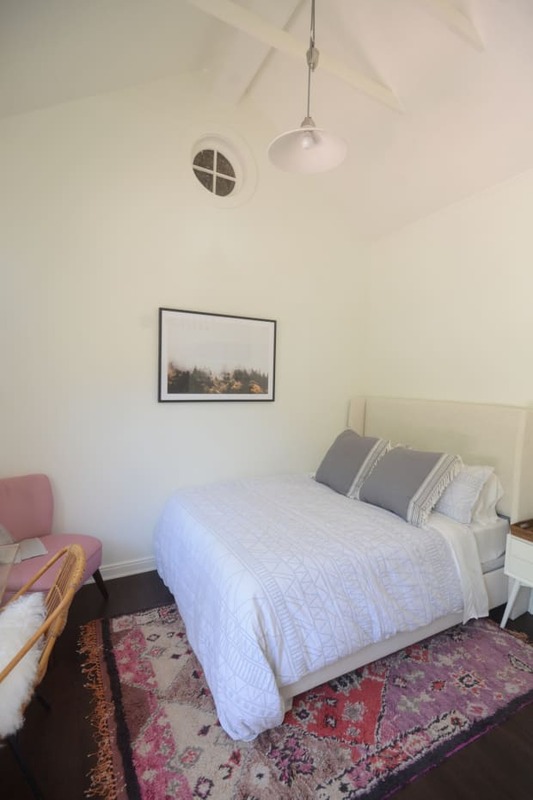 This isn&apos;t just about having a bed that looks presentable, but it also gets your day started on the right foot. I once heard that if you begin your day by accomplishing something (even if it&apos;s as simple as making the bed), it sets the stage for productivity.
. 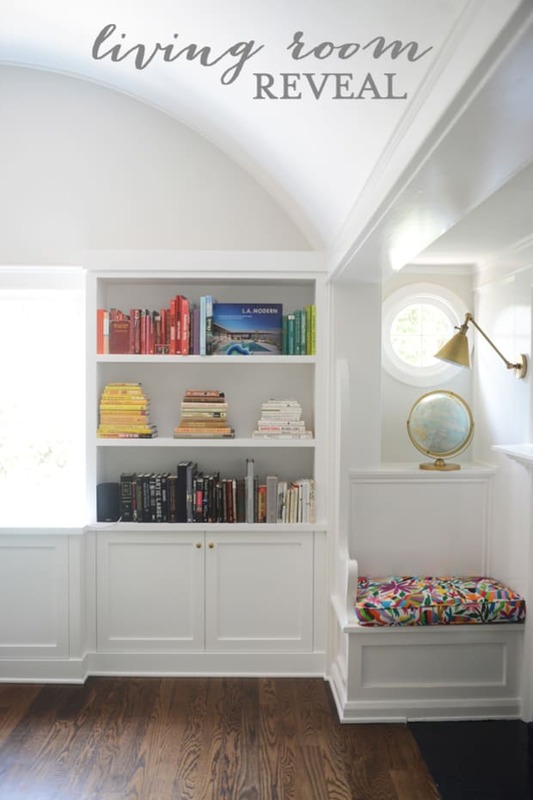 This is one of the quickest ways to make a bed look inviting and it&apos;s ideal for impromptu naps.
. While candles and diffusers are great, nothing beats fresh air. We keep our windows open pretty much around the clock since I love a cool breeze when I&apos;m cuddled up under the covers.
. We keep our windows uncovered during the week since natural light makes it a lot easier to get up in the morning. But during the weekends, it&apos;s nice to be able to draw the shades so that you don&apos;t feel pressured to get out of bed. 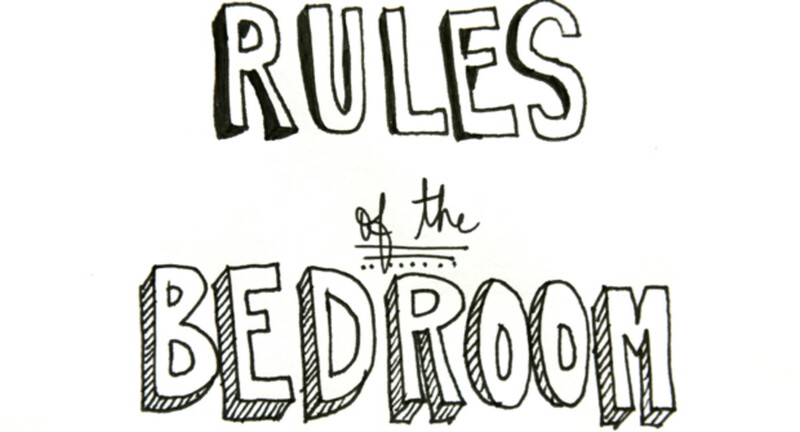 I&apos;d love to know...what are your "rules of the bedroom?"